National Reference Laboratory, East Avenue Medical Center (NRL-EAMC), having demonstrated the commitment in providing the highest quality services in chemical and microbiological testing, achieved accreditation under PNS ISO/IEC 17025:2005 standards effective May 10, 2013. 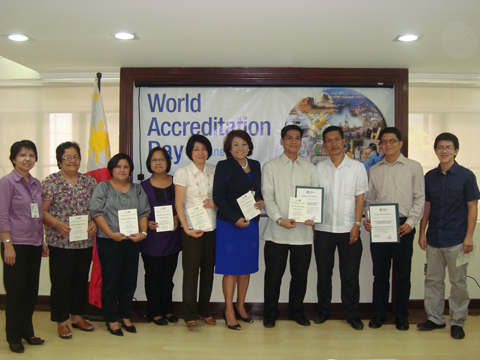 This accreditation was formally conferred last June 7, 2013 by Philippine Accreditation Office (PAO) as part of the activities in celebration of the "World Accreditation Day 2013". In addition to satisfying the ISO/IEC 17025 standards, NRL-EAMC as the Philippines' reference laboratory for environmental, occupational health, toxicology and micronutrient assay, functions to provide laboratory reference/referral services for confirmatory testing, conduct surveillance and research, train laboratory personnel, maintain quality assurance program for laboratory tests and perform technical evaluation of reagents and diagnostic kits. We carry out testing services to the public in such a way as to meet the requirements of PNS ISO/IEC 17025:2005 and to satisfy the needs of our customers and standards set by the accreditation bodies. As the technical arm of the Philippine Department of Health (DOH), we conduct seminars/trainings on implementing rules, basic principles, and analytical methods for laboratory managers and personnel in order to develop technical skills, assure quality, consistency of best practice among laboratories. Mandated to ensure the accuracy and quality of test results issued by DOH-accredited laboratories, we implement Quality Assurance Schemes through the conduct of Proficiency Test (PT) Program amongst participating laboratories. 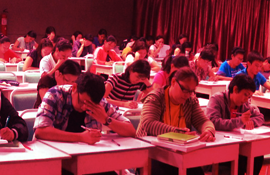 This is required by the HFSRB–DOH for purposes of renewal and continuous maintenance of the accreditation.